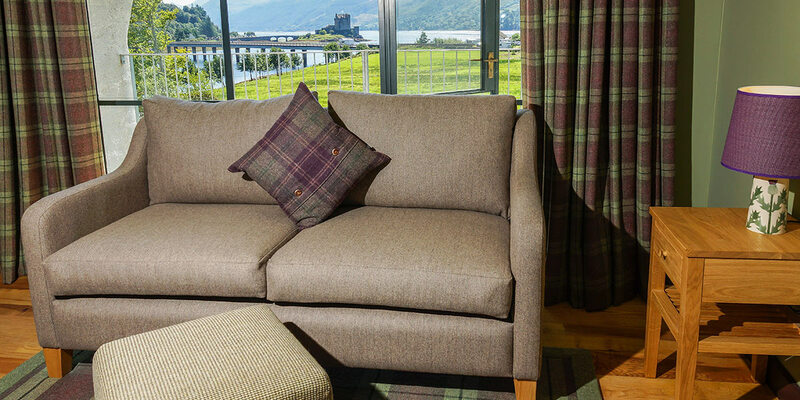 The original building that houses Eilean Donan Apartments was initially constructed as a hotel back in the late 19th Century. It has had a number of different identities during its long history, but has been extensively refurbished over the last two years. 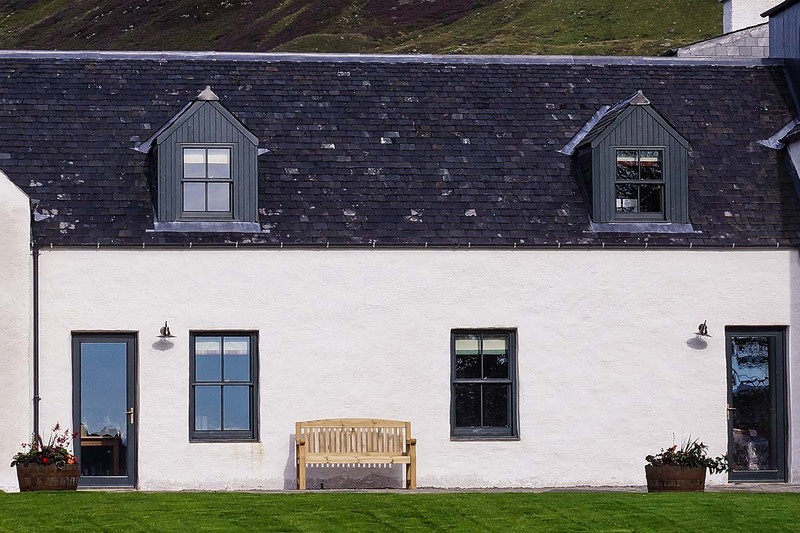 The first phase of the development consists of eleven stylish self-catering apartments, each with its own private entrance; unique lay-out and character, sleeping 2-8 people in 1, 2 and 4 bedroom units. The further addition of a number of stand-alone loch-side units is anticipated at a later date. 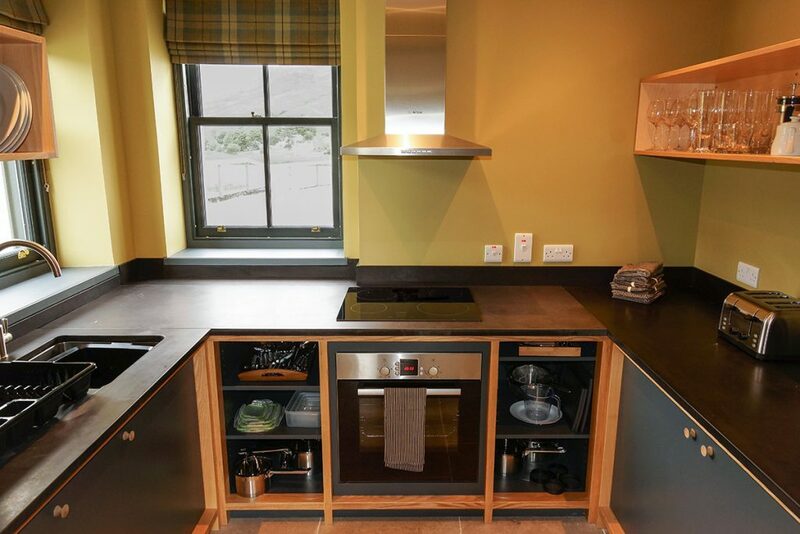 All apartments are fully-equipped to a high modern standard, with the interior décor utilising a palate of shades and colours influenced directly from the Scottish landscape. 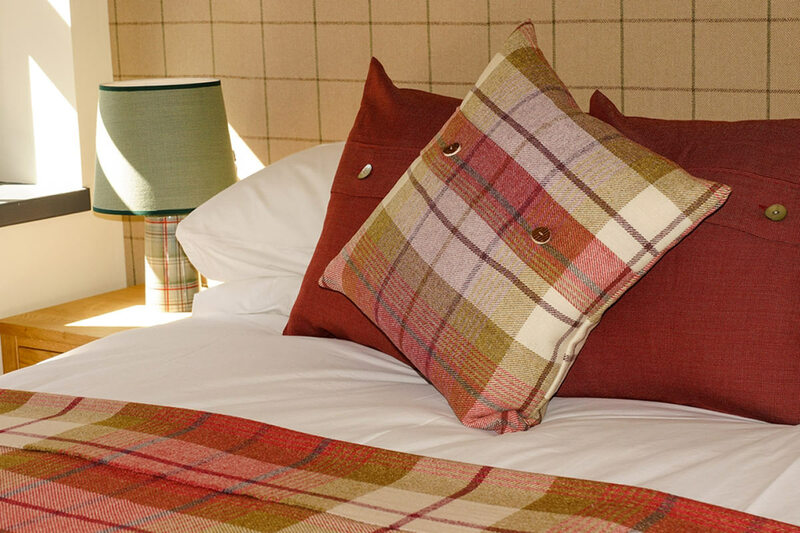 The sumptuous furnishings and fabrics are beautifully styled and supplied by ANTA Scotland, reflecting our commitment to a luxurious quality environment. 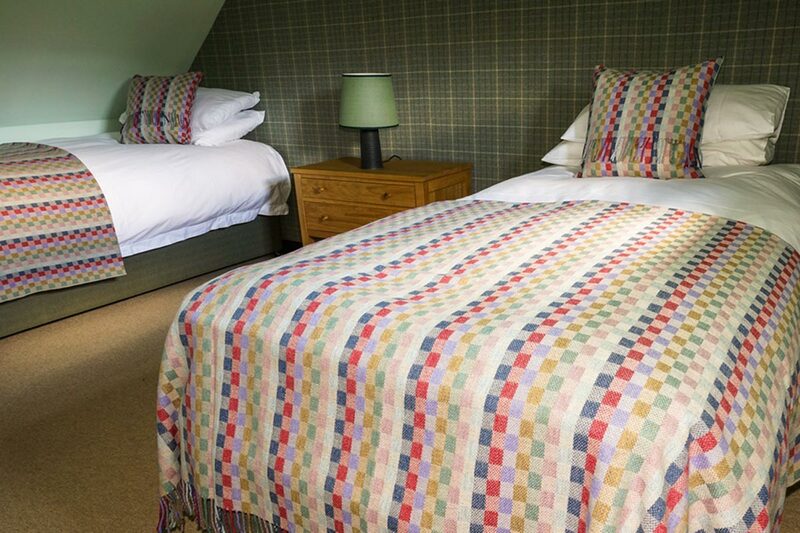 Two of our one bedroom apartments have been specifically designed for guests with mobility issues. Should you wish to book one, or discuss any specific needs please contact us directly by phone on 01599 555728 rather than trying to book online. Well–behaved pets are permitted (by pre-arrangement only) in a few of the apartments on the understanding that any damage incurred will be charged at replacement rates. Every effort should be made by guests to keep their pets off the furniture. To establish whether one of our pet-friendly apartments is available, please inquire directly by phone on 01599 555728 rather than trying to book online.